Total monthly payment: Calculations what your purchase price can be based on your inputted variables and your desired monthly payment. When it comes to affordability, lenders allow a Gross Debt Service (GDS) ratio of up to 39% of your your before tax income. GDS is calculated as the sum of property tax, 1/2 condo fees, mortgage and heating expenses. My website’s mortgage qualifier calculator http://eitanpinsky.ca/mortgage-resources/calculator/ is quite exhaustive and goes over the exact same numbers as the above calculations. Amortization: 25 years if you are putting less than 20% down. 20% down or more can have a 30 year amortization. Interest Rate: Put in a rate of 2.89% or ask us for a rate. Property Taxes: If you’re looking at a condo up to $400,000 purchase price, I would put in $1,200. If you are looking at $600,000+ condo, please put in $2,400, and for a house, an amount of $4,800 or higher would be reasonable. Condo Fees: $300 – $400 *remember, for affordability purposes, your payment will be decreased by half. So your “Total monthly payment” will look smaller that it actually is. Cash on hand: This is how much cash you have for your down payment. Other closing costs: This would be lawyer fees (apps. $1,200 on the high end) and property transfer tax (please see below). Please tick “Mortgage insurance” if you are putting down less than 20%. You’ll also have to click the drop down of the “total Monthly Debt Payments and change the numbers there if you have any debts, or put in $0 for the ones that are there already. Once you change the numbers here, you should be able to obtain your purchase price and other affordability metrics. It’s easy once you get the hang of it but may take a couple times to get used to it. Please don’t hesitate to contact us to go over this together. When you purchase your home with less than 20% down payment, i.e. borrowing more than 80% of the cost of the home, the government makes you purchase mortgage insurance in the form of a premium (or payment) to an insurance agency. In Canada, Canada Mortgage and Housing Corporation (CMHC), is the largest insurer, but there is also Genworth and Canada Guaranty. All three do the same thing and there is no different to the borrower. The premium or payment works like this: the more money that is borrowed above 80%, the greater the payment. A bank generally handles the payment in the form of a premium, or cost, which is added to your mortgage. This amount is paid off over the life of your mortgage. You may be eligible for an exemption on your BC property transfer taxes if you have never owned your own home anywhere in the world and the home you are purchasing is not more than $500,000. 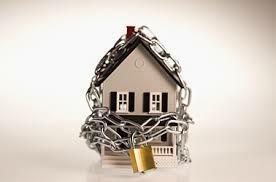 Generally, your lawyer or notary applies for the exemption on your behalf when you register your property. If you are a purchasing a second home, or you are purchasing a home that is higher than $500,000, then your property transfer tax will be 1% on the first $200,000 and 2% thereafter (after $2,000,000, the tax is 3%). A quick easy way to get this is by multiplying the purchase price by 2% and then taking away $2,000, or PPT = (Purchase Price x 2% – $2,000) Example: Purchase of $700,000. $700,000 x 2% – $2,000 = $12,000 property transfer tax.